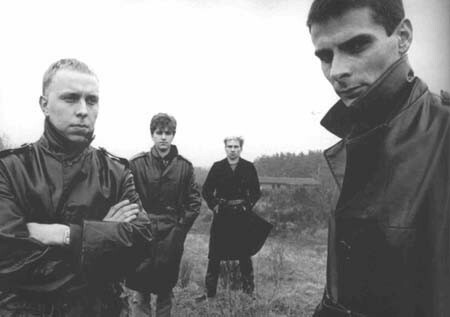 Pioneer Belgian EBM/Industrial band. Consisted of Marc Verhaegen and Dirk Ivens, original line-up also included Eric Van Wonterghem. Dirk Ivens left in 1990 to form Dive. Klinik continued in the solo person of Marc Verhaegen. In December 2003, the duo reunited for a one-shot celebrative performance at the BIM Festival in Belgium. 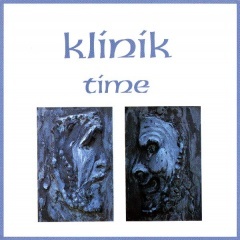 The huge success and overwhelming requests from fans led to the appearance of The Klinik in the original line up at the Wave Gotik Treffen in Leipzig the following year. Other festival appearances followed. In 2009, The Klinik are back as a full time band, with a new studio work to be released in the future. Because of continuing health problems of Marc Verhaegen, it's not sure that he can join The Klinik live on stage in the near future. Therefore, he will concentrate on creating music in his homestudio. The Klinik members anno 2009 are Dirk Ivens (Voice/Lyrics), Marc Verhaegen (Studio Music) and Peter Mastbooms (Live Sounds and Video Images). The Berlin show on 27th December 2014 was announced as the final ever. The Klinik was put to rest since. In 2017, Marc Verhaegen started up The Klinik again together with Mark Burghgraeve. A new album is in the works, but due to Marc's illness progress is slow.